As your children go off to school, you'll often find that there are certain skills that they'll need to master with accuracy and speed. Whether it's letter sounds, sight words or math facts, if they are able to recognize the correct answer quickly, it's much easier to move on to the next challenge. For some children, they seem to pick up the skills almost intuitively on their own. For others, some extra practice will really help them be successful. In many cases, simple flashcards will do the trick. When I was a teacher, I often played this game "BANG!" with my students and they LOVED it. Now, I'm using it with my youngest daughter as she starts kindergarten. It's super simple to make and lots of fun to play. You can play with two players or twenty, students, older siblings and adults. Here's what you'll need ~ an empty container, some blank index cards, and some markers. I used a coffee can and some 3x5 index cards. Next, make up your flashcards. You can do letters, words, multiplication facts, anything that needs practicing. 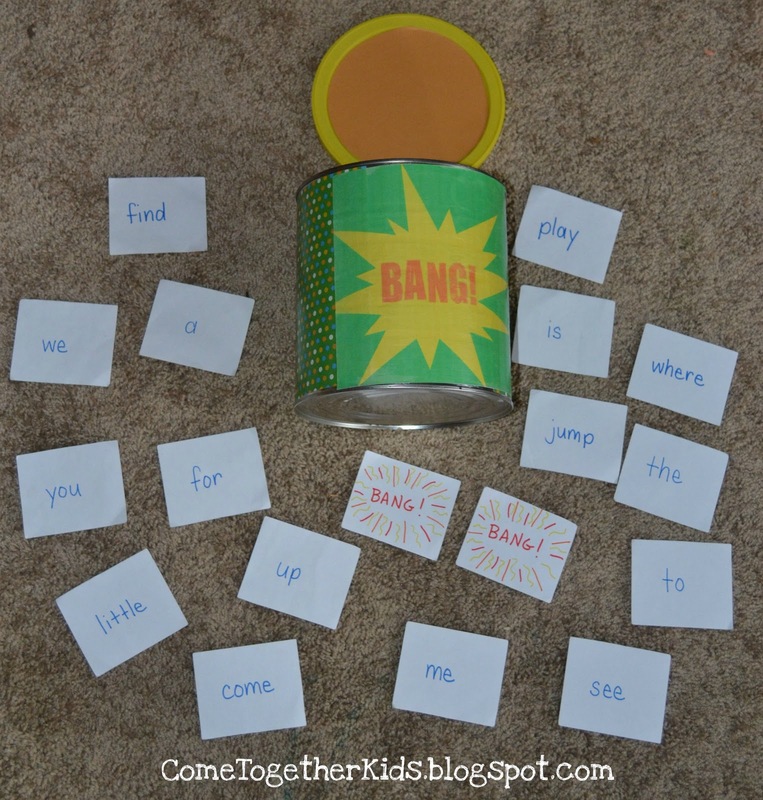 You'll also want to make up a few cards with the word "BANG!" on them. Next, just put your cards in your container and you're ready to play. 1. Players take turns reaching into the container and pulling out a flashcard. If they can read the word aloud correctly, they get to keep the card. If the player is incorrect, the card goes back into the container. 2. Continue taking turns, reading and collecting correctly answered cards. 3. If you pull out a BANG! card, you must put your whole pile of cards back into the container! 4. At the end of a specified length of time, whoever has the most cards is the winner! * I like to start with a small group of flashcards that the child knows fairly well, and just one or two BANG! cards, then gradually add more flashcards and more BANG! cards. The length of time you play and ratio of BANG! cards to flashcards is up to you. * Sometimes if it's just my daughter and me playing, I'll purposely pull out a card, hold it up and read it incorrectly. She loves catching me making a mistake and it helps her to really pay attention even when it's not her turn. * To practice phonics skills on words that can be "sounded out", check out these Word Family Spinners made from paper plates. This is why I follow your blog. Another amazing post. I have a Kindergartener too and this would be a perfect game for us. This is fantastic! I will try it, too! Love this idea! Can't wait to use it with my 4 year old for sight words....Thanks for the Dolch Word List too...all new to me! 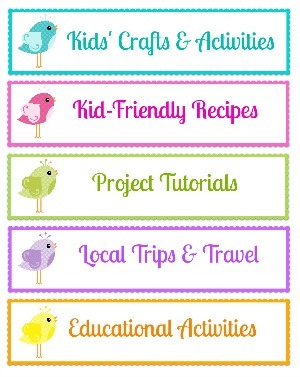 Here's your link at Craft Gossip! What a wonderful idea! Do you think it would work for smaller kids with picture recognition? I guess you could have a few different sets of cards to throw in too. Love it! Thanks for linking up to Things I've Done Thursday! Cute Game! Sight words are a struggle at my house. Thanks for sharing. Another great idea... and we already have the flashcards. I think we'll play this today! This is such a great idea! Thanks for sharing it. I'm going to forward it to my mom for her to play with my nephew. I just LOVE this Laura! I cannot wait to see what you will link up this week! You are full of awesome ideas! LOVE the game - we made a similar one last week using apples & an apple tree. It's so fun to get kids learning with games. This has been featured on this week's Sunday Showcase! 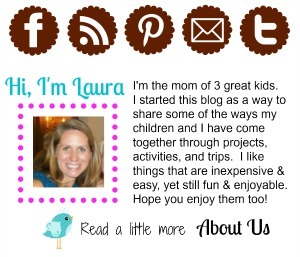 Stop by and grab your well deserved I've been featured button! Hope to see you sharing on this week's Showcase! I love this..You are full of awesome ideas! I can't wait to try this with my kids! Such a great idea--and so timely at our house! My youngest is practicing sigh words, and my oldest is learning multiplication facts. I was thinking I would make them each a can, and let them play against each other, while drawing from their own cans so they can play together but practice what they need to work on. This is so great! *I found you by the way of Craftgossip. Fantastic! I was thinking that in addition to using it with my kids at home, I could use it in my preschool classroom centers with shapes and colors instead of sight words. Great blog, you have a new follower! I can't wait to do this with my son. I think this will make going over sight words much more fun then just flipping through a stack of cards. Will implement the same idea but using Spanish words instead! Once they pull the bang card out, do you have them keep it out or put it back in the container? i also really have to try this with the kids. بالدمام ونقوم بتخليصك من الصراصير واي حشرة اخرى فنحن شركة مكافحة حشرات بالقطيف على علم بالطرق القاتلة كل انواع الحشرات حشرات ان تحققها الا اذا كانت مخلصه فى عملها وعلى قدر على من الشفافيه مع جميع عملائها وتستخدم افضل أنواع المبيدات للتخلص من جميع انواع الحشرات"
Smadav 2019 Free download. Smadav 2019 PC/Laptop/notebook Windows system 32bit/64bit is available for You. Smadav 2019 version Offline Installer after download that can update/install without need connection the internet again. Download and install Smadav 2019 Free. Very unique and creative, thank you for sharing this article. Dial Printer Support is an online service provider that provides the excellent customer service to the problems of brother printer. The service provider gives the best solution care to the problems relating to brother printers. if you want To buy soma pills from trusted online store, online pharmacy pills must be your first choice because online pharmacy pills providing free shipping on soma pills, tramadol, provigil etc. Get instant tech support for your printer, laptop, hp desktop support needs from the best skilled professionals. Call us at +1-888-621-0339. A happy customer is a returning customer is what we believe. We are an independent third party service provider and we are available for tech solutions and tips 24*7. Searching for a good field to start your career. Join complete module of Mobile Repairing Institute in ABCMIT which provides 4 modules with quality training at affordable fees. Switch yourself to the Best LED LCD Tv, Laptop, Computer, AC and Mobile Repairing Institute in Nirman Vihar. Contact us at 9990879879. Searching for a Best LED LCD Tv, Laptop, AC, Computer and Mobile Repairing Course in Nirman Vihar. ABC Mobile Institute of Technology is successfully training students since a long time. Become expert in 2-3 months. Enroll now and get 30% flat discount on the course fees. Contact us at 9990879879. Book your seat and get flat 20% discount on advance Best Computer, LED LCD Tv, Laptop, AC and Mobile Repairing Institute in New Delhi. ABC Mobile Institute is giving 4 modules to the students to train them in almost every Mobile Repairing Field. We assured 100% placement support. Contact us now at 9990879879. Searching for the Best Computer, LED LCD Tv, Laptop, AC and Mobile Repairing Course in New Delhi and want to earn a good amount of income. We are in Nirman Vihar. We provide all the hidden tips and tricks in our 4 modules. Then also apply for it. Contact us now at 9990879879 for free demo class. For example, if someone bets $10, you must raise it at least $10, making the total the next player has to call $20 http://royalqq.ml or http://oriqq.ml. Amazing post, I really appreciate your work. Nice transferring knowledge on your blog. Canon Printer Support experts look after you damaged printers & scanners & can be asked for repair help, 24/7. these experts are available globally & resolve issues like paper jamming, improper cable connection & more. creative! i love it, keep posting. If you have any issue HP products. Then you can take help with HP customer support team by making a call HP customer service number 1-800-304-9126. We provide instant help and support for HP users. If in the case are you facing any technical problem related to Dell products. then you can call our Dell phone number 1-800-329-1530. User can also connect with highly qualified and certified customer care team through Yahoo phone number 1-800-318-4042. Friends I am Hazel Zoey from New York. I am working with a technology company. If you have any issue related to any software & hardware like Dell, printer, laptop, and any other device. If you face any issue with Dell or Dell products then you can call our Dell support number 1-800-329-1530. they provide a good solution for Dell issue. Thanks to the submission for a blog. Nice Post, please visit here for HP support. If you want more details about Dell products then you should call Dell customer service number and get connect with Dell tech experts. I love this game. We offer on site Brother support service, if you want help call Brother support number. Any Error In Quicken Software Dial Quicken® Support Phone Number Get Instant Help and Support from Quicken Experts Customer Support Service Center 24/7.